Find out about Infor XM, the most flexible and configurable travel and entertainment (T&E) expense management solution on the market. Infor XM is easy to maintain, efficient to use, and supports mobile usage and social collaboration. 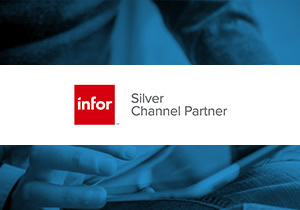 Available for deployment in the cloud or on-premise, Infor XM helps eliminate manual processes—and the headaches and mistakes that go along with them. Infor Expense Management for employee expenses comprises a suite of four integrated applications (Expense Reports, Travel Plans, Payment Requests, and Timesheets) that can be used either individually or in any combination. With seamless integration between Infor Expense Management and your other Infor applications, you get a consumer-grade experience—built for enterprise users. Download this eBook to find out more.